Ambassador Walter Fust is the former Head of the Swiss Agency for Development and Cooperation (1993-2008). Fust is currently the President of the globethics.net initiative. In 2008-2010 he was the CEO of the Global Humanitarian Forum in Geneva. He was working in banking and public administration before entering the Swiss Diplomatic service in 1975. 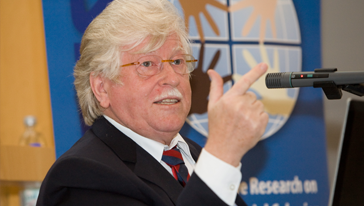 Walter Fust is the chairman of UNESCO’s International Program for the Development of Communication (IPDC).